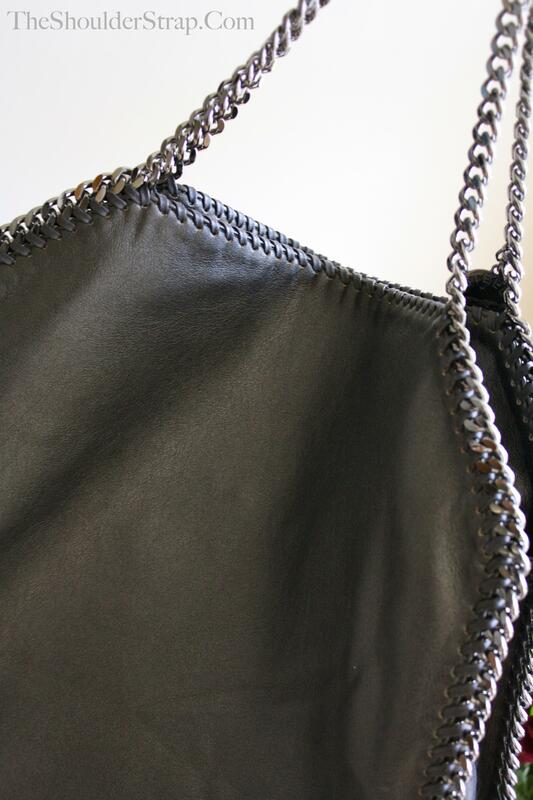 Keeping with Stella McCartney's vegan-friendly fashions, the Falabella tote is both trendy and eco-friendly. 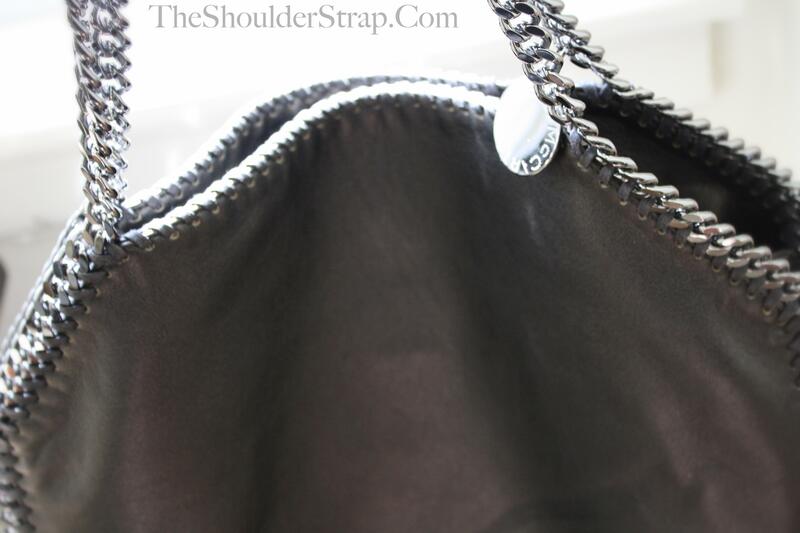 The Falabella's handles are nice, long chains so that the bag hangs down beyond the elbow--making it very easy to carry. The faux leather material is very sturdy, and the bag is incredibly large (I love big bags) so you can fit in everything you need. Included in the bag is also a little zippered pouch, magnetic closure for the bag and inside pockets. Sleek and practical. What do you love about Stella McCartney?